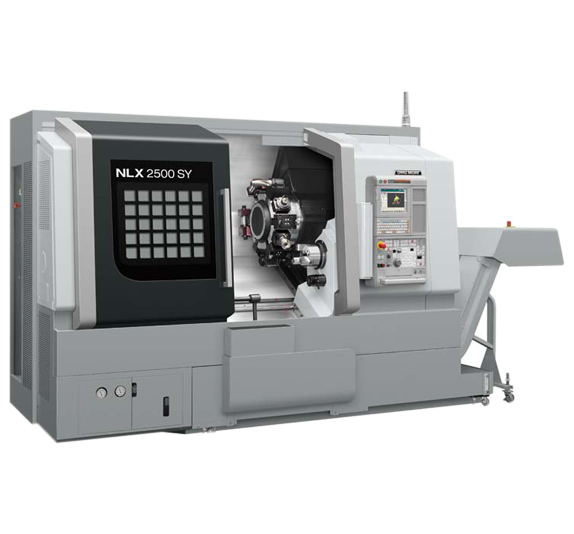 a little more about the Moriseiki NLX2500SY / 700 . . . This machine uses slideways on all axes for improved damping characteristics and dynamic rigidity. Different types of distances between centers of 500 mm (19.7 in. ), 700 mm (27.6 in.) and 1,250 mm (49.2 in.) are available for NLX 2500, giving the greatest number of variations in the series.